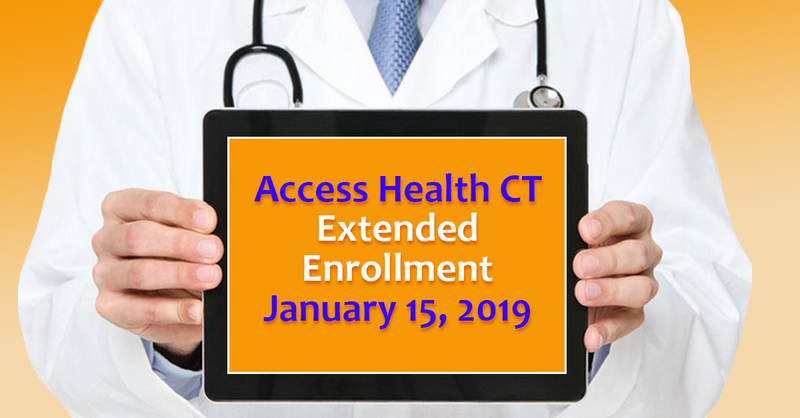 The deadline for open enrollment for Access Health CT will end Tuesday, January 15, 2019. Coverage will begin February 2019. Access Health CT is encouraging customers to evaluate their options so your insurance plan fits your unique medical needs as well as your budget. With new plan structures, you can find more savings and lower premiums than your current plan. Even if you’ve made your decision, you can still shop around to find savings. Access Health CT is encouraging those who have automatically enrolled for 2019 coverage to look at the new structures and make sure your current plan meets your needs. You may call the Access Health CT Call Center for assistance at 1-855-909-2428, from 8 a.m. until 6 p.m. Monday through Friday. Hours on Saturday, January 12 are 9 a.m. through 3 p.m.
Assistance is also available online through the Access Health CT website, contacting a broker, or attending one of the in-person enrollment fairs. Please know that the deadline will NOT be extended again, so make sure you are getting the right coverage.